It also eats a load of batteries. 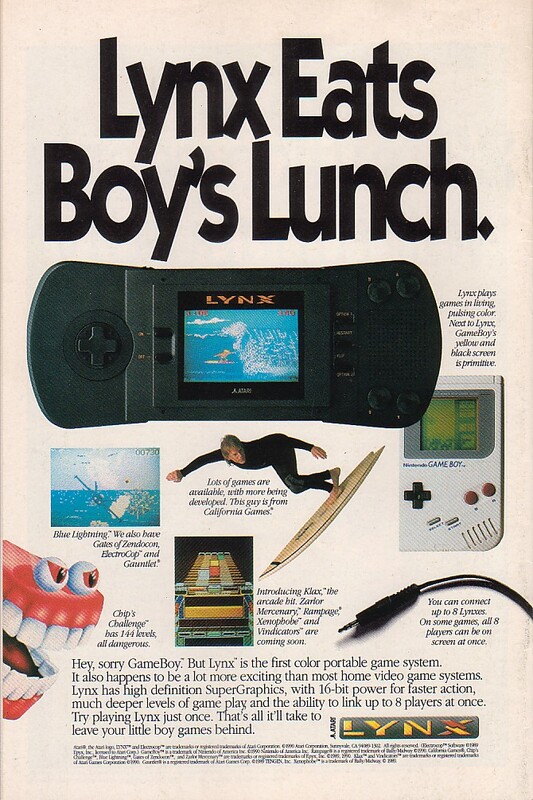 The Lynx was Atari’s attempt at capturing a slice of the portable video game market. The system boasted a few advantages over the Game Boy, namely colour, but it cost more, drained batteries like crazy, was utterly huge and was almost entirely devoid of quality software. Amusingly, Australian distributor HES still has new/sealed Lynx stock for order. Damn. You beat me to the battery joke.